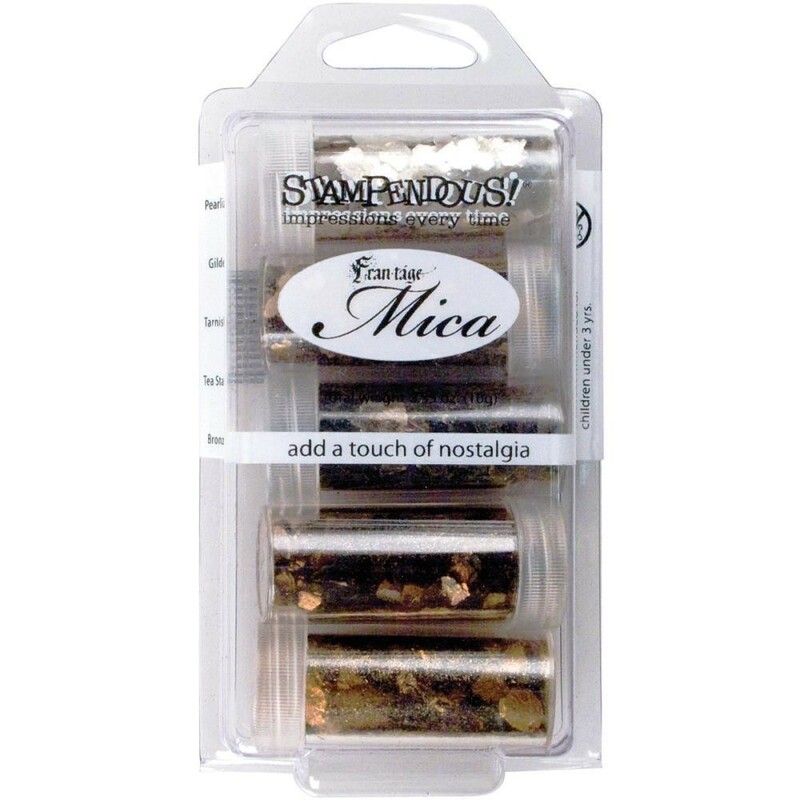 STAMPENDOUS-Mica Fragments Kit. Natural mica fragments will give artwork and paper crafting projects a pearly sheen. Sprinkle over any adhesive or add to embossing enamels for a textured effect. This kit contains five colors of mica fragments: Pearlized, Gilded, Bronzed, Tarnished, and Tea Stained.